It’s no surprise to see Facebook becoming a primary focus for spreading malware. Attackers are leveraging Facebook as a means of reaching end users, delivering links in order to convince victims to click on them. The links deliver malware that allow attackers to access sensitive information or take control of a voctim machine, Recently, I found such an incident where Facebook was used to spread a known Trojan. 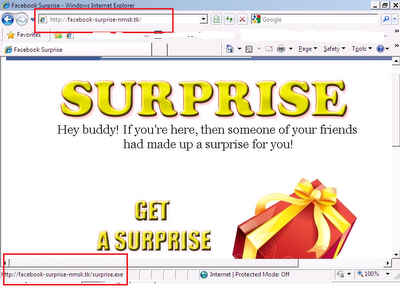 Currently no malware is hosted on the site “facebook-surprise-nmsk.tk”. But its not guaranteed that it will remain in same state. Report from “ scumware.org” shows different domains used to spared this malware.All the different domains were registered with same ip. DNS lookup for the ip 89.187.53.64 can found here. 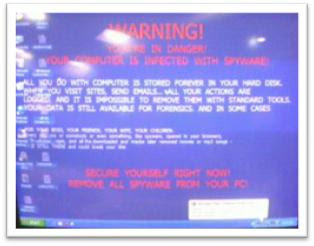 This clearly shows how attackers are taking advantage of power of social networking to spread malware. 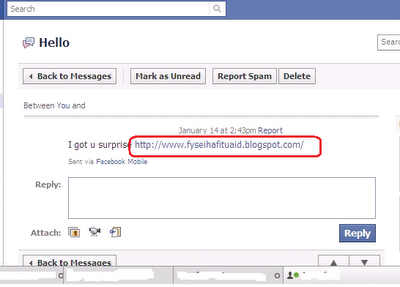 Always make sure the links are safe before clicking on them.